Grilled Cheese: Halloumi is a semi-hard cheese that stands up to the high heat of a grill. 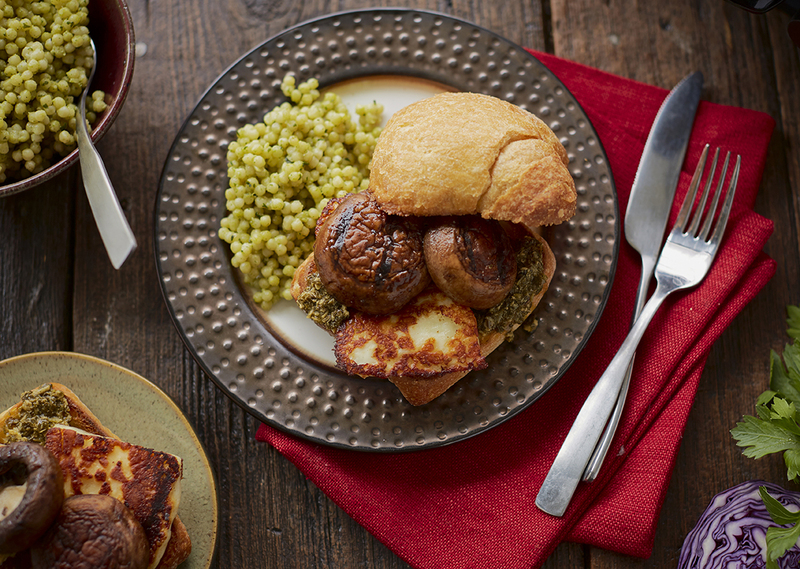 Its mild flavor pairs perfectly with a meaty portabella and salty kale pesto. In bowl of a food processor, add all pesto ingredients except olive oil. Process on low until thick paste starts to form. In a small bowl, stir together olive oil from “burger” ingredients, dried basil, salt and pepper. Place mushrooms on a cutting board and brush olive oil mixture over tops and bottoms of mushrooms. Place mushrooms and halloumi cheese on preheated grill and close lid. Grill mushrooms for 6 minutes, and cheese for 4 minutes. Note: If grilling on Indoor/Outdoor grill, grill each for 4 minutes, flip and continue to cook for 2 additional minutes. 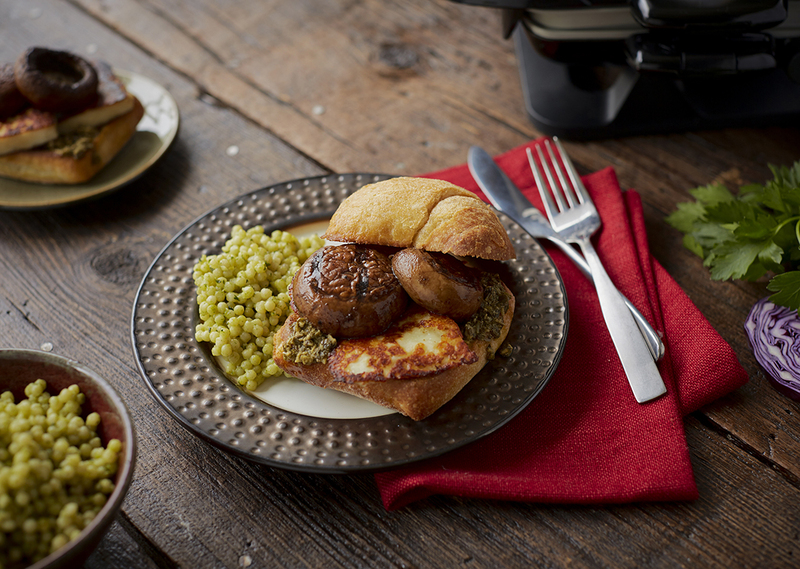 To assemble, spread pesto on the bottom of 6 toasted buns. Top with grilled mushroom and grilled halloumi cheese. Place remaining bun on top and eat immediately.